Dr Rajat Chauhan did MBBS from Manipal University of Medical Sciences and then went to Nottingham University to do M Sc. in Sports & Exercise Medicine. After that, he did MLCOM from London College of Osteopathic Medicine and started working as Head of Kieser Training Centre, London, and External Consultant for Musculo-Skeletal Medicine (Back, Neck & Knee Pains) with National Health Services. After working in London for 5 years, in 2006, he came back to India to set-up Sports & Exercise Medicine department at Manipal Hospital, Bangalore. In 2009, along with a running buddy, he founded Runners High in Bangalore, a running institute with the belief and intention that everyone can do more. 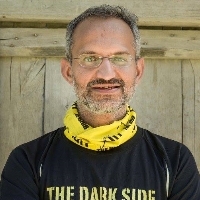 Rajat has been organising arguably the world’s toughest race in Leh-Ladakh, La Ultra - The High for last 10 years. It has 55, 111, 222, 333 & 555 kms categories where temperatures can vary from minus 10 degrees Celsius to plus 40 degrees Celsius, crossing the highest motorable mountain passes in the world. Oxygen content is below half of what we breathe in the plains. He started running very early on in life and has been doing so for 34 years now. It's given him an edge over his medical colleagues in understanding the human mind-body connect better. When you race middle to long distance, you have conversations with pain at an all together different level, on a daily basis. He has run half (21 km) marathon in 1hr 18min, full in 2hr 38min and 100km in 11hrs 25min. In 2013, he got involved in a Couch to 6 km running program for ladies. He soon experienced first-hand why ladies are the nucleus of the society. There were 18 ladies from all walks of life, age ranging from 13 to 60 years. In less than a couple of months, more than 100 people were walking, ranging from their children, not-so-significant halves, parents, in-laws, neighbours, partners, someone who had a crush on them to complete strangers. He is on a very simple mission, to get people to keep miling and smiling, as long as they are on this third rock from a star called sun. He has been a columnist for Mint and Hindustan Times for over a decade now. He has done a series of running podcast, MoveMint for Mint newspaper and series of FacebookLive for Hindustan Times newspaper. He has also been an Associate Editor at British Journal of Sports Medicine and a columnist for The Hindu, Hindustan Times, Mint, Forbes India and Founding Fuel. His book on Pain, published by Penguin Publications, The Pain Handbook was released in 2016. Sports medicine is an area of medical practice concerned with holistic well-being of the sports person, whether it be amateur or elite. It also addresses role of exercises in health conditions and or for well-being of all. It also involves nutrition, exercise & sports technique, recovery, performance and treatment of injuries resulting from sports-exercise activities. Musculoskeletal Medicine (Pain management) is an area of medical practice which focuses on conservative non-injection & non-surgical management of muscular and skeletal pains. For that you need to address both psychological and physical issues by understanding the patient rather than just pain area. "I like to call myself a student of pain and running, as I’m always learning more about my subjects of interest. I am also a militant advocate of GOYA (Get Off Your Arse) Move-Mint. I have been running for last 34 years and making others to run too. In my spare time I am a doctor specializing in Sports-Exercise Medicine (Queen's Medical Centre, Nottingham) and Osteopathy / Musculo-Skeletal Medicine (London College of Osteopathic Medicine) with special interest in Back and Knee Pain. In 2008, I started my own clinic Back2Fitness and I work as CEO and Medical Director there. Besides heading Back 2 Fitness, a Sports-Medicine & Muscuklo-Skeletal Medicine clinic for last 10+ years. I, along with my band of crazy friends, came up with La Ultra - The High, a 555 km (previously 333 & 222 km) run in Leh-Ladakh, India. We have been putting it together for last 9 years now. Some call it the world's cruelest ultra marathon. In 2017, we are brought to India its first iRun Fest, a Running Festival, which showcased Running Documentaries from around the world, Panel Discussions with thought leaders in running being on board and a platform for all involved in running in whatever capacity. Till 2016, I had been associated with Adidas India as Running Advisor for about 3 years. I was also the founding Director of Sports & Exercise Department at Ashoka University where I was responsible for the sports infrastructure and making sports and physical activity an integral part of the curriculum. I have been writing for Mint and Hindustan Times for over a decade now. I've done a series of running podcast, MoveMint for Mint newspaper and series of FacebookLive for Hindustan Times newspaper. I have also been an Associate Editor at British Journal of Sports Medicine and a columnist for The Hindu, Hindustan Times, Mint, Forbes India and Founding Fuel. My book on Pain, published by Penguin Publications, The Pain Handbook was released in 2016."